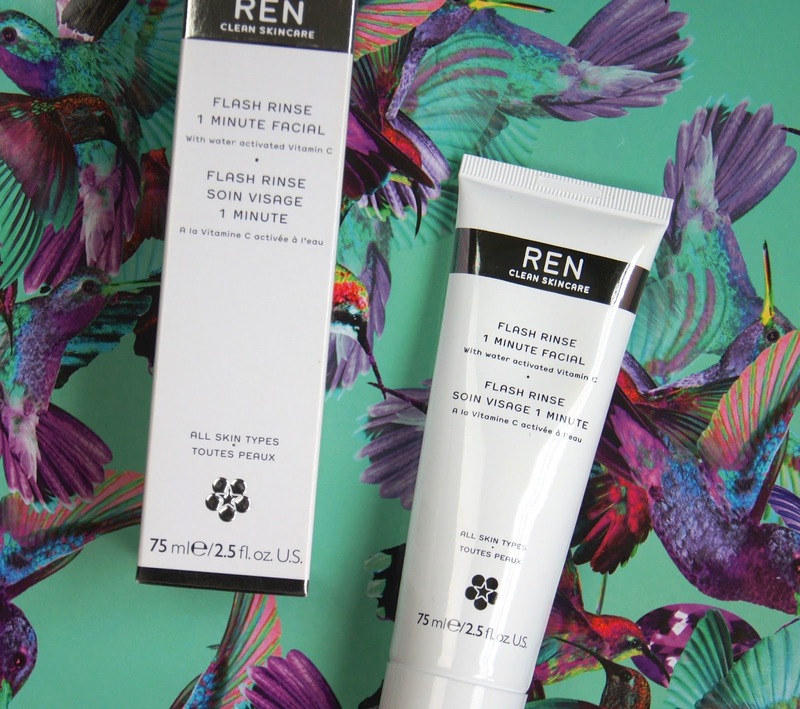 If you saw my recent Space NK splurge post, then you would've seen that I picked up the latest release from REN Skincare - the Flash Rinse 1-Minute Facial. Little did I know that this impulse buy would soon become one of the most coveted skin treatments in my cupboard. Literally, after just two uses, I fell head over heels in love and we've been inseparable since. It's that good. Now, I hadn't previously planned on buying this treatment and it was the dangerously tempting, newbie counter that greets you as you walk into Space NK that first introduced me to it. Reading up about the flash facial on the box and on the REN website when I returned home, I assumed that it would gently exfoliate and drench my skin in an illuminating, hydrating balm. So, on first squeezing a drop onto the back of my hand, I had to double-check the tube to make sure I hadn't reached for a different product. The opposite of what I was expecting, this doesn't have a nourishing texture, but feels more like a warm, iced slush, especially with the mouthwateringly fresh, orange scent. Weird, but I like it. REN claim that this facial will transform skin, visibly rejuvenating it, all in one minute. Full of bio actives, including various hard-to-pronounce acids and minerals, this treatment should re-engerise skin, reduce the appearance of lines and imperfections and firm the skin. Vitamin C helps to rid skin of dullness, leaving the complexion bright and radiant. That's a pretty big workload for just a minute of time. To use, you start by massaging the mint-green, grainy paste onto dry skin, gently working it across the whole face, avoiding the eyes. Rough beads are suspended in quite a thin, watery base, which makes it feel quite harsh, so you don't need to apply much pressure at all. Once you're face is sufficiently covered and exfoliated to your liking, you dampen your fingers and massage once again, to activate the Vitamin C content. Once you add a drop of water to it, those particles seem to burst and then you get the oilier texture coming through. After leaving the facial to work its magic for a minute, you rinse your face and voile! Now, it took me a while to get the hang of the formula and application process, as it wasn't smooth sailing straight from the word go. It can be difficult to work out just how much water to add into the mix. Too much and the treatment just gets washed off. 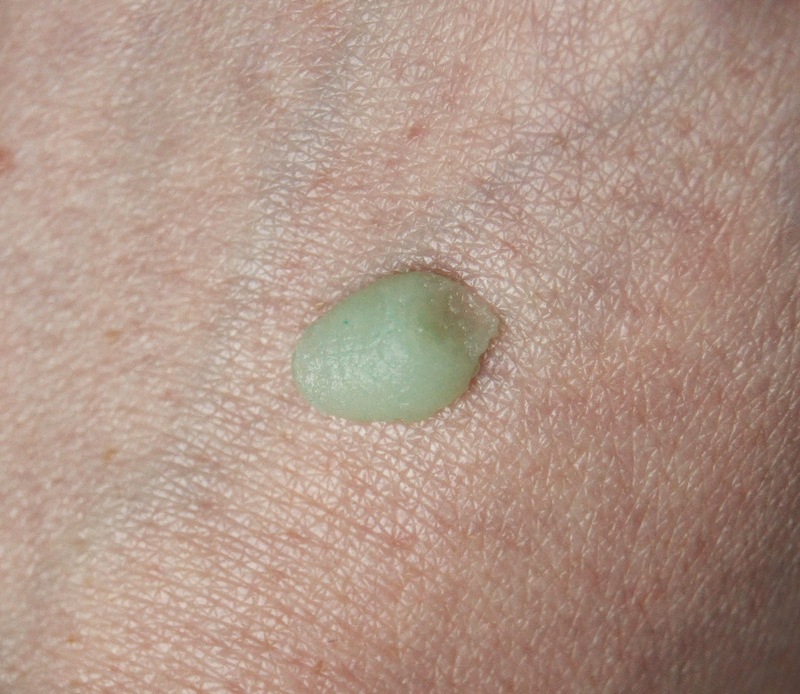 Too little and the product starts to coagulate, creating bobbly bits which are then difficult to rub in again. Also, leave the treatment on for too long, before you add water, and things can get a little rouge. With continued use, you'll soon get the balance right and find out what's best for your skin. Whilst it does say on the tube that it's suitable for all skin types, on REN's website they say, 'except those prone to sensitivity'. As always with skincare, if you're intrigued by this product, I'd recommend doing a patch test and trying it out before you make a full-size purchase. As advised on the tube, I wouldn't use this treatment more than twice a week, as it's super effective and could start to aggravate skin if used more regularly. Considering the application process isn't the most soothing or relaxing, it's definitely the results that give the product its facial qualities. Honestly, this product has given me the best, instant result I've experienced with any skin treatment. Before using it, I had thought that my skin was going through a good phase and was free from any dryness. But, in such a short time, this treatment managed to rid my face of rough areas I was unaware of having, leaving it smoother than ever. I'm talking polished marble levels. No joke. It even got to the point where my boyfriend was asking if I was alright, as I stood in the bathroom making various ooo and ahhh noises. This definitely boosts radiance levels and gives skin some added glow, which is always much-needed towards the end of the year. Does it have any affect on wrinkles? I'm not quite old enough to put that theory to the test, quite yet. Whether I use it morning or evening, the rest of my skincare routine applies so well afterwards and the results last for a few days, until I use it again. Do you like the sound of this exfoliating treatment? I absolutely love this product. I'm going through a deluxe sample at the moment and I am so impressed by the instant effects!